Comfortable aparthotel "this property", 774 m a.s.l., 3 storeys. 500 m from the centre of Pinzolo, in a quiet, sunny position, 1 km from the skiing area. For shared use: garden. In the house: lift, storage room for bicycles, storage room for skis. Towel change weekly. Room cleaning on request (extra). Breakfast full board half board possible (extra). Parking at the house. 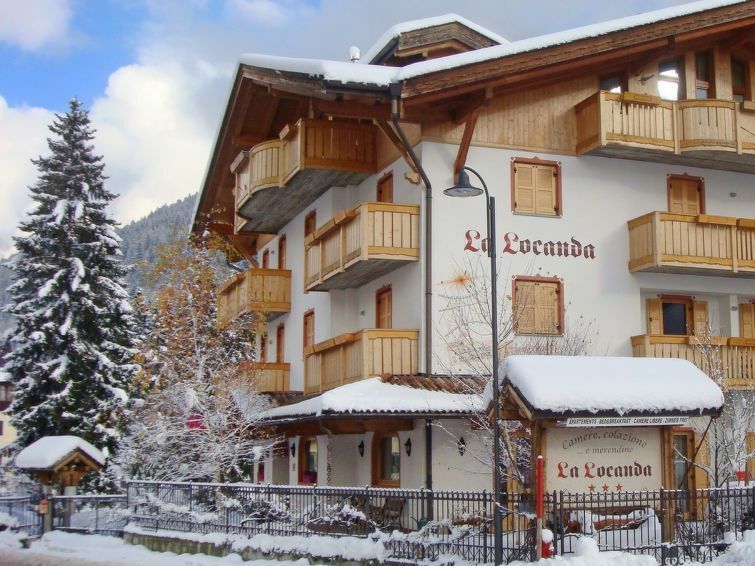 Shop 300 m, supermarket 500 m, restaurant, bar, café 100 m, 10 minute walk to the centre, bus stop 100 m. Chair lift 1 km, ski bus stop 100 m, ski school 1 km, children's ski school 1 km. Please note: the photograph shows a typical example. There are more similar properties for rent in this same residence.